Anyong Haseyo!! 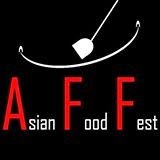 I'm so excited for this month theme for Asian Food Fest : Korea! Yah I'm a fan of Korean Drama (presently watching Bride of the Century) and I enjoy eating Korean food as well. It is rather easy to whip up some homely Korean cuisine as there are quite a few Korean supermarkets locally where you can picked up all the necessary ingredients you needed! Before starting my Korean cooking frenzy, I've made a pot of Korean inspired soy sauce which you will be seeing it in most of the Korean recipes I'm attempting :D It tasted very good and my hubby named it 'Special Sauce'. It can be used in salad dressing or as a marinade for meats. For first experiment, I've uses this sauce to make some grill mackerel and my kids love it and have been requesting me to make again! Add soy sauce and water in a pot and bring to boil. Turn off heat and add sugar slowly to the pot. Stir till sugar is well dissolved. Add in rice wine and miring and turn on heat and bring to boil again. Turn off heat and add in apples and lemon slices to the pot. Stir lightly and close the lid. Place the pot in a cool place for 12 hours. Remove the apple and lemon slices. Store the flavoured soy sauce in containers and chill in fridge for use. I've used 400gm mackerel fillets and marinated it with 8 tbsp soy sauce and grilled over medium low heat for 5 mins on each side till golden brown. this looks good and i do have a bottle of mirin to get rid of.. but how long can we keep the sauce for?